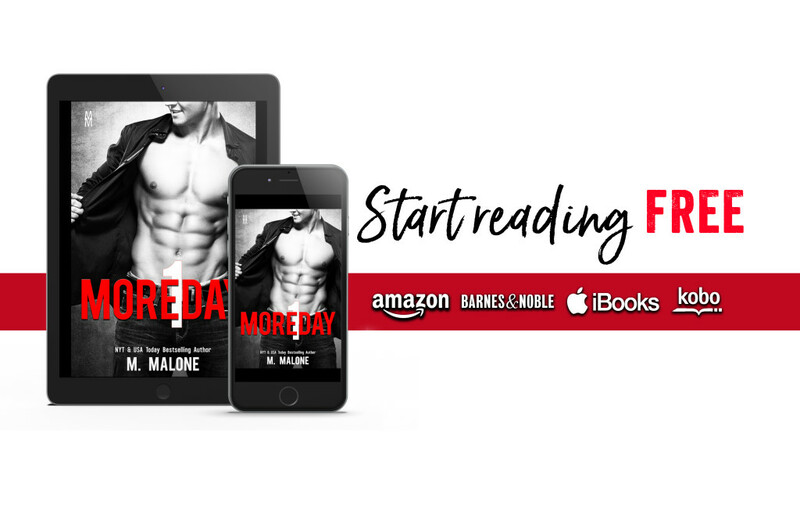 Want to read One More Day for free? All the ladies on my street know, I don’t play where I live. They’ve tried it. I mean, come on. I’m a rich, single dad with a big house and an even bigger… lawn. But if you’re my neighbor, then it’s hands off. I’ll get my rocks off elsewhere. Especially since I’ve got nothing to offer beyond one night and a hell of a lot of bitterness. But when the girl-next-door gets locked out, I can’t exactly leave her outside, right? Wanting her is a bad idea but the trouble is she’s nothing like the self-absorbed diva I thought she was. She’s sweet and pure in all the ways I’m not and makes me remember what it felt like to really live. Maybe having a little fun is exactly what I need. I can’t give her forever, but I’ll give her everything right now. Until right now is no longer enough and I want to give her more. The first book in the USA TODAY bestselling Alexanders series.